A wonderful deciduous hardy climber. 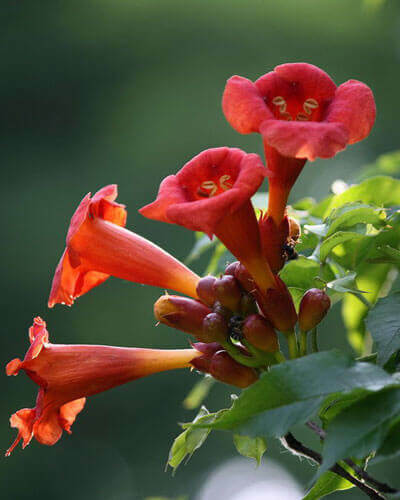 Beautiful trumpet shaped blood-red and orange flowers. Flowers from summer to autumn. Fern like foliage.